A 16th century mill in the middle of grasslands to the south from Nancy - character properties France - in Picardy, Nord-pas-de-calais, Lille, Champagne-Ardenne, Lorraine, Alsace and Franche-Comte region - Patrice Besse Castles and Mansions of France is a Paris based real-estate agency specialised in the sale of Character houses. To the south, and roughly an hour’s car drive, from Nancy on main roads or the A31 motorway. 350 km from Paris via the A5 motorway and just 170 km from Germany, Luxemburg and the south of Belgium, a journey lasting about 2 hours via the A37 motorway with a slip road 15 km away. 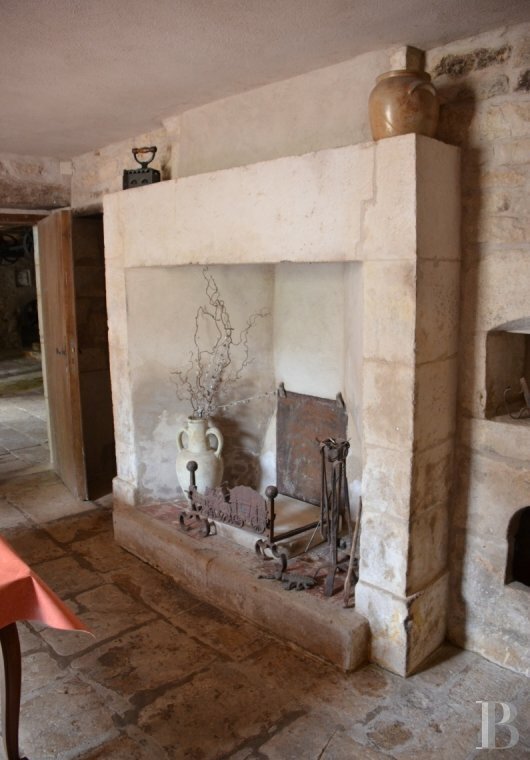 The site is rapidly accessed from the French capital via a direct TGV train to Nancy and a corresponding SNCF train to Neufchâteau, a historic town 10 km away. 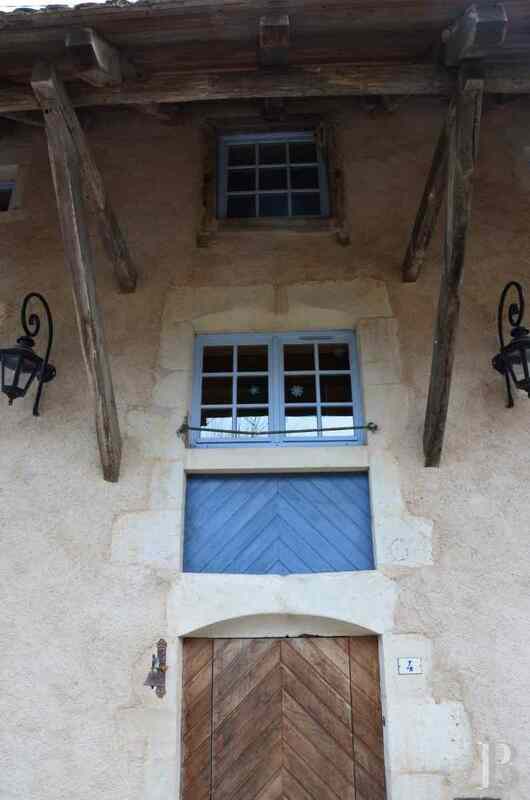 The property stands in the Vair Valley on the outskirts of a rural, typical Lorraine village. Its sole immediate neighbour is another similar style residence on the other side of the narrow road separating them. 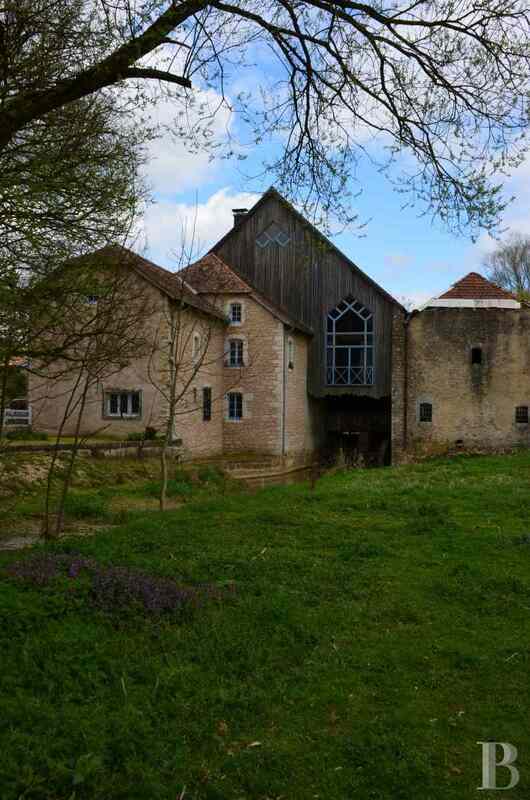 The mill and the house were once part of the estate of the neighbouring chateau, approx. 500 m away, from which they are separated but by the French formal gardens of the so-called chateau. 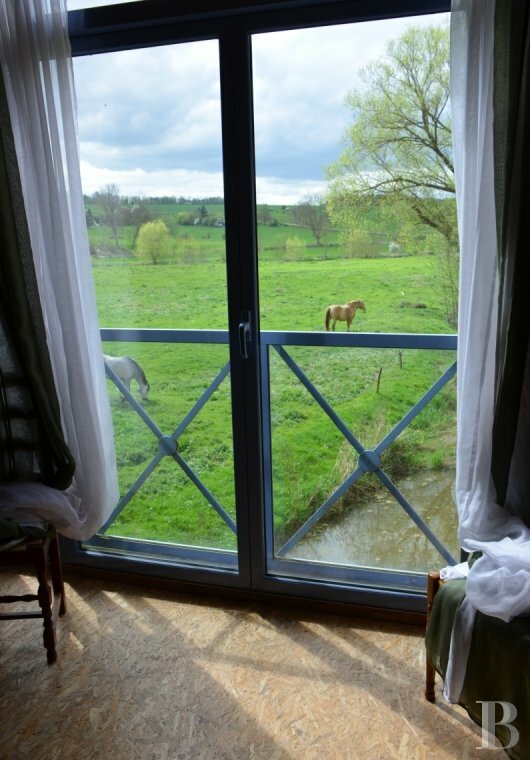 This property is set in the middle of lush grasslands bordering the Vair. 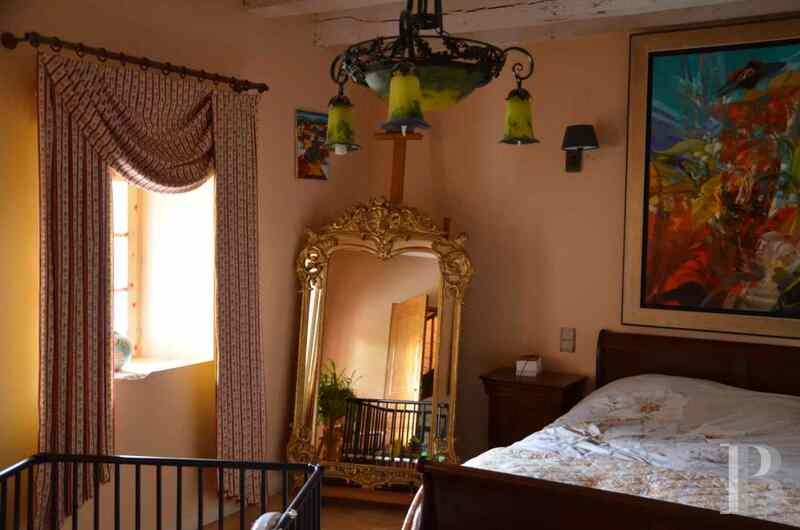 With the village, built on a knoll, and the immediate proximity of the chateau in the background, the property is in a particularly pleasant setting, full of charm. 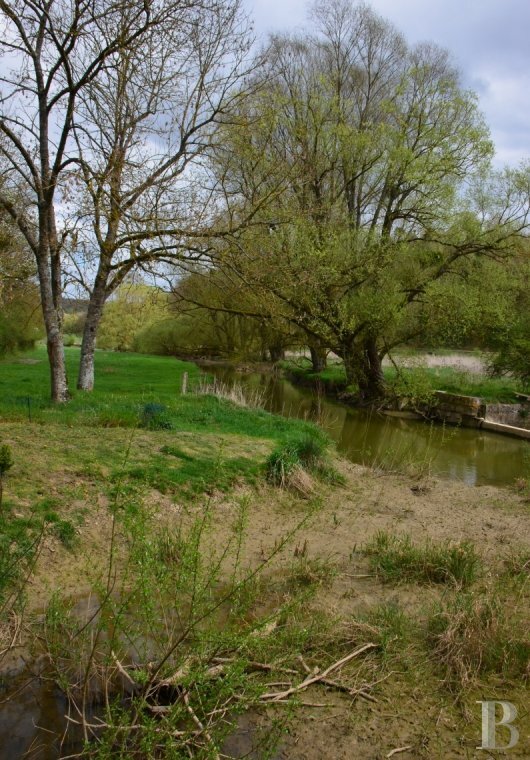 The narrow road passing in front of the property is little used as it comes to a dead end after leading to another mill upstream. This place is consequently steeped in peace and quiet, barely broken by birdsong and the croaking of the frogs from the river. Large forests, dominated by tall beech trees, surround the site and provide all kinds of hiking, mountain biking and pony trekking activities. The small historic town of Neufchâteau with its numerous Renaissance residences is nearby as is the surprising Gallo-Roman site of Grand, with its vestiges of one of the biggest amphitheatres of the time. The surrounding area offers old stone enthusiasts a rich but discrete architectural heritage. 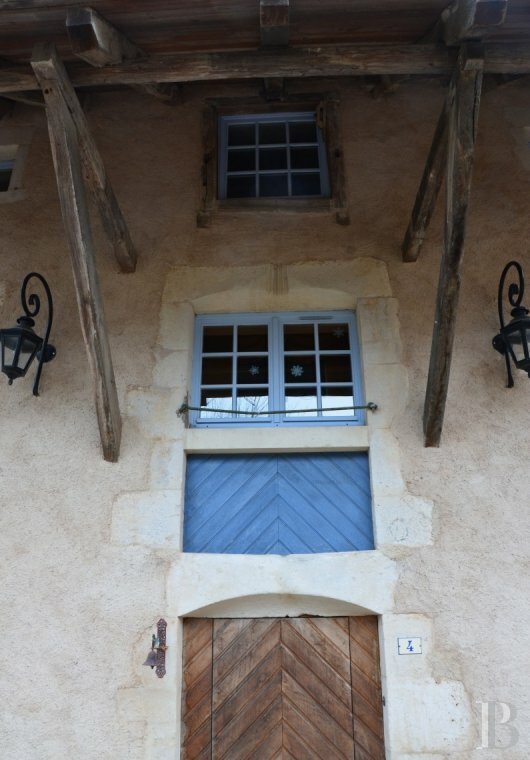 The oldest of the buildings comprising this property were built in the 16th century. 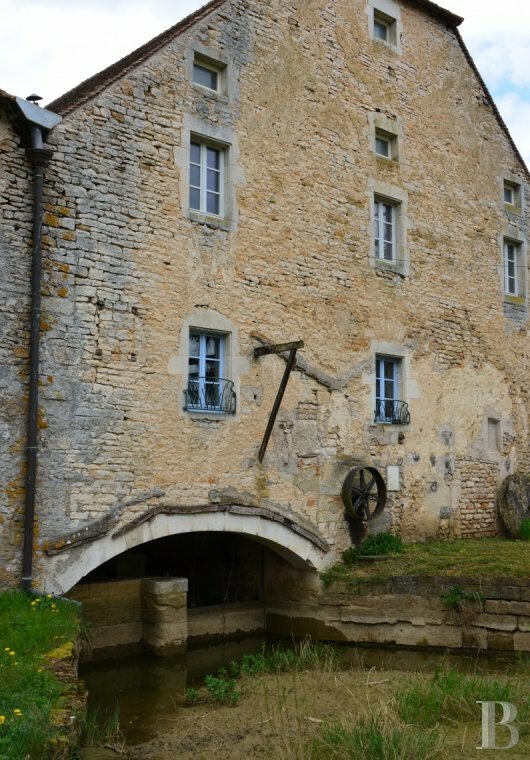 Over the centuries the central section constituting the mill which once produced flour was joined by a walnut oil mill, built on the opposing bank of the canal, and an adjoining house, known as “the flour miller’s house”. The mill finally stopped working in 1957. The former flour mill has undergone restoration works which have transformed and converted its interior, resulting in a large, comfortable living area on the first floor of the building. 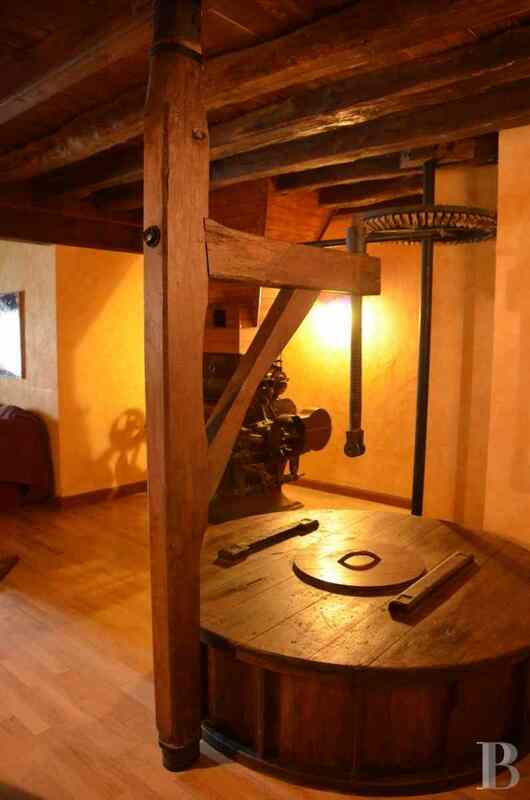 The oil mill has, for the moment, only been subjected to preliminary works involving the carcass and the masonry. 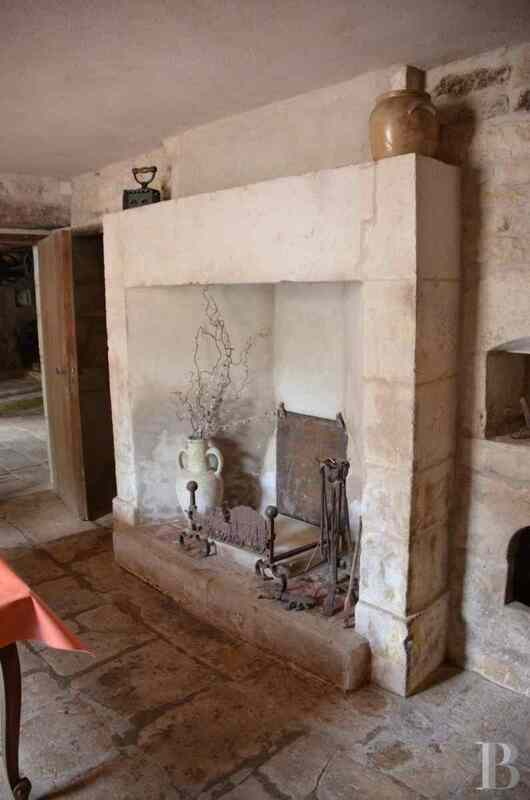 The internal restoration of the miller’s house is, however, well in hand. All these well-constructed buildings have decorative stone features and framing around their openings. The front and rear facades of the mill and the miller’s house are of recently lime-rendered rubble stone. 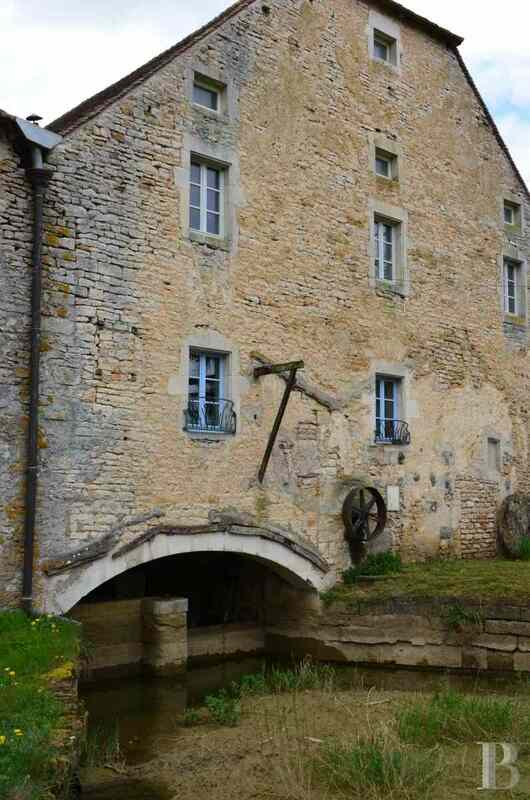 However, the rendering on the oil mill has not yet been renovated. The roofs on the mill and on the miller’s house have been restored with tiles laid in the extremely attractive “fish scale” or “beaver tail” fashion. 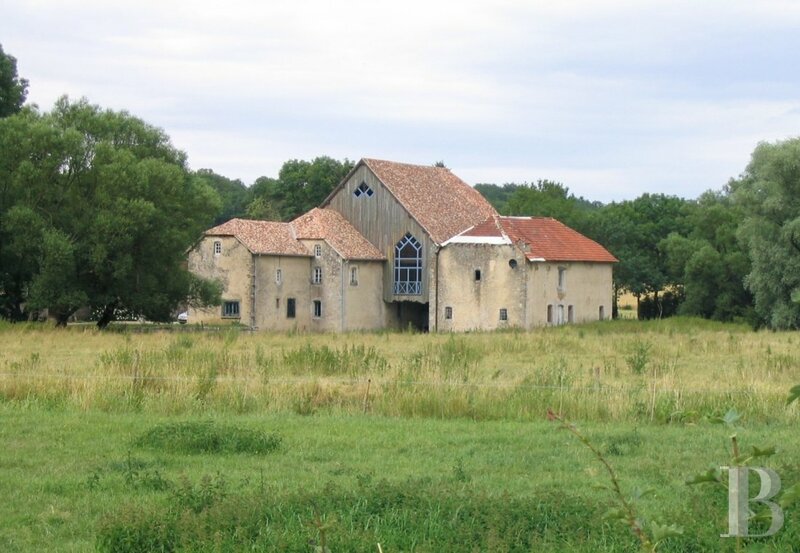 The property is within the protection zone of the neighbouring chateau. Consequently, any works involving the external facades or the roofs of the buildings are subject to the approval of an architect from Bâtiments-de-France. Vast grasslands spanning approx. 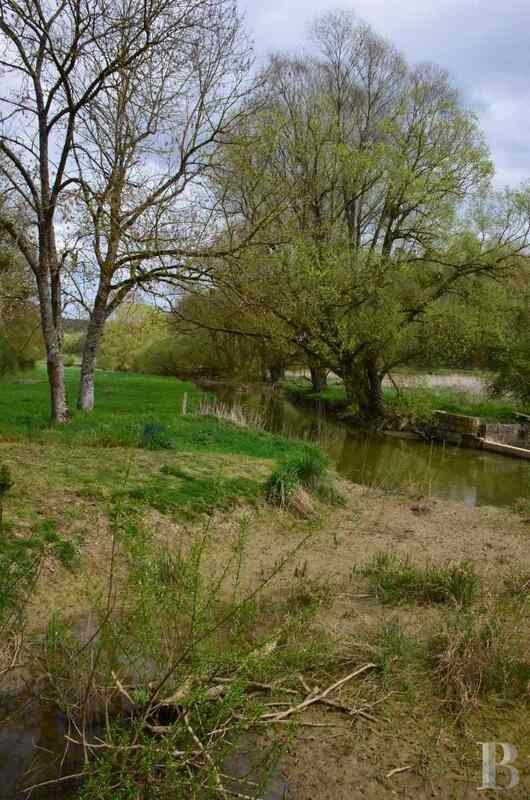 2.5 ha stretching between the bends in the river Vair and the mill tailrace surround the buildings at the back. 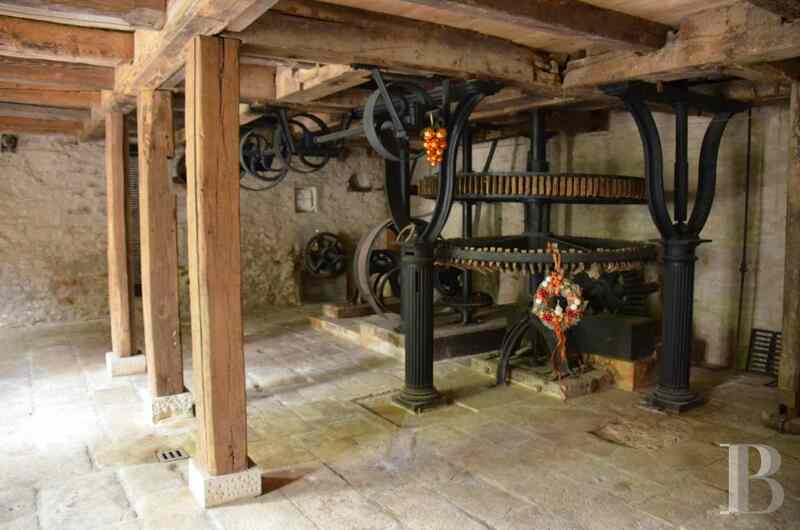 This mill comprises two stories and an attic connected via a wonderful wooden winding stairway. It spans a total floor surface area of approx. 270 m². 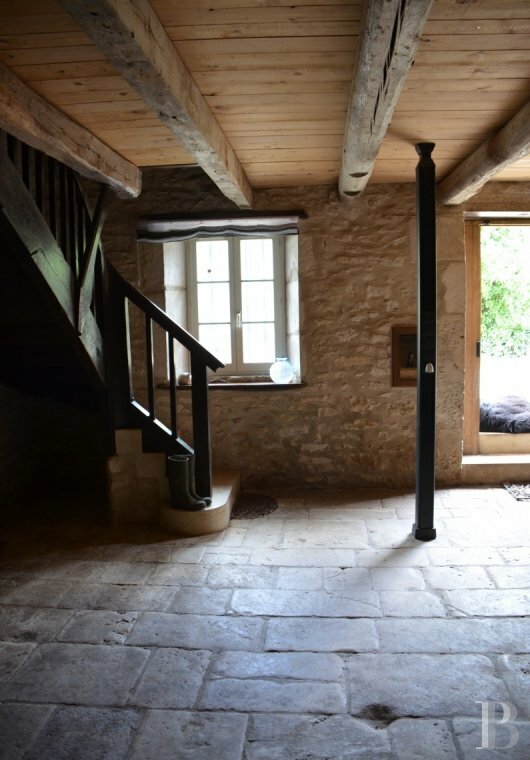 The entrance door provides direct access to the large room containing the mill’s mechanism, a room that features superb exposed beams and large, local flagstones. The wooden winding stairway with its warm hues leads upstairs into a large open space in the middle of the floor’s main rooms. 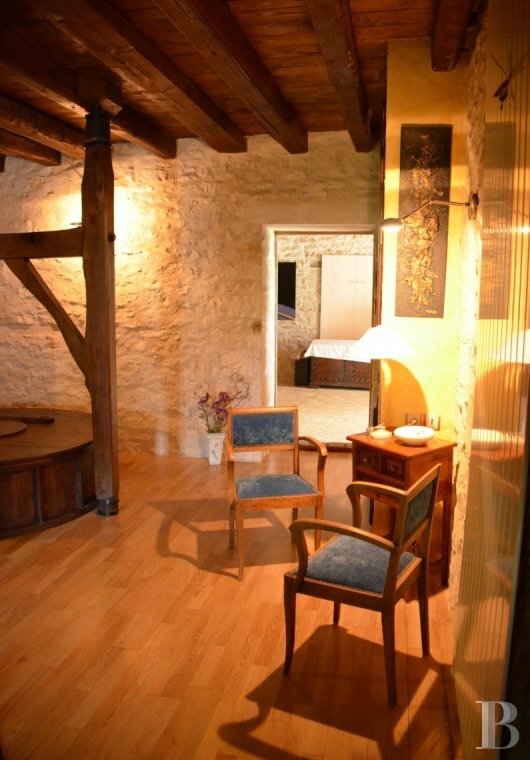 The mill’s old hopper and grindstone, the lime-rendered walls and the superb exposed ceiling beams compose an original, warm and welcoming decor which makes this passageway a comfortable lounge steeped in peace and quiet. A corridor on the right-hand side leads to a vast fully fitted kitchen and then, at the end, to two Lorraine-style bedrooms. 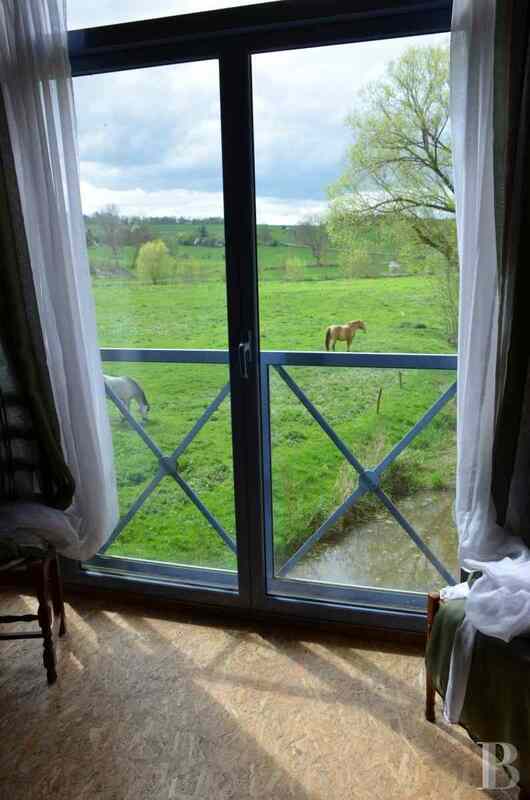 One of said bedrooms overlooks the narrow road that runs alongside the mill whilst the other has a superb view over the tailrace as well as the lush meadow bordering it. Opposite the kitchen, another room bigger than the bedrooms could become a small library or be used as a third bedroom. On the left-hand side is a master bedroom with limed beams and, adjoining the bedroom, a vast bathroom area with an extremely attractive Italian shower in its middle. 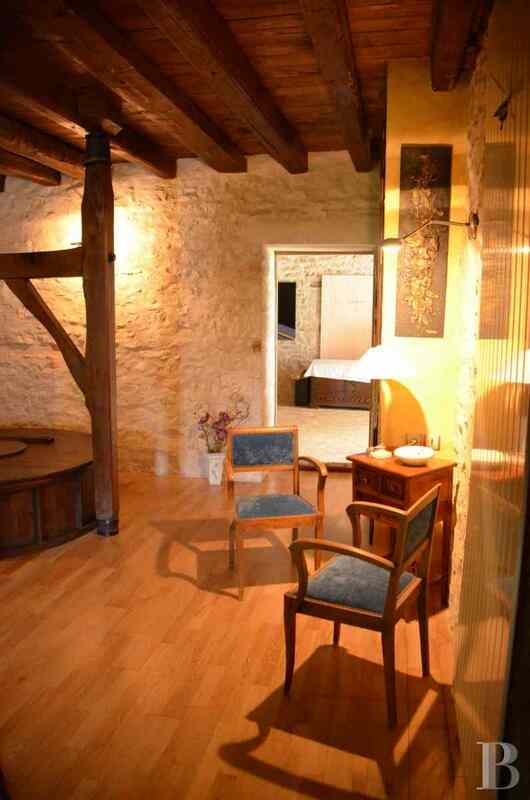 The attic is also accessed through this central space via a stairway made from the same wood, warm to the touch. After the rooms on this floor, a vast reception room spanning approx. 70 m² has recently been created above the feed valve and the drive wheel. This superb rectangular room is illuminated via a large contemporary glazed opening which provides an outstanding view over the grasslands surrounding the property. The fixtures and fittings are not completely finished which means that the new owners can add their own personal touches. The ground floor of the main building also comprises the old kitchen. Still operational, it features its original decor with a stone sink and a stone fireplace, a plain, very basic design without adornment. Adjoining and following on from the mill, the miller’s house is separated from said mill by a large garage. It is, therefore, a small self-contained, 2-storey house. 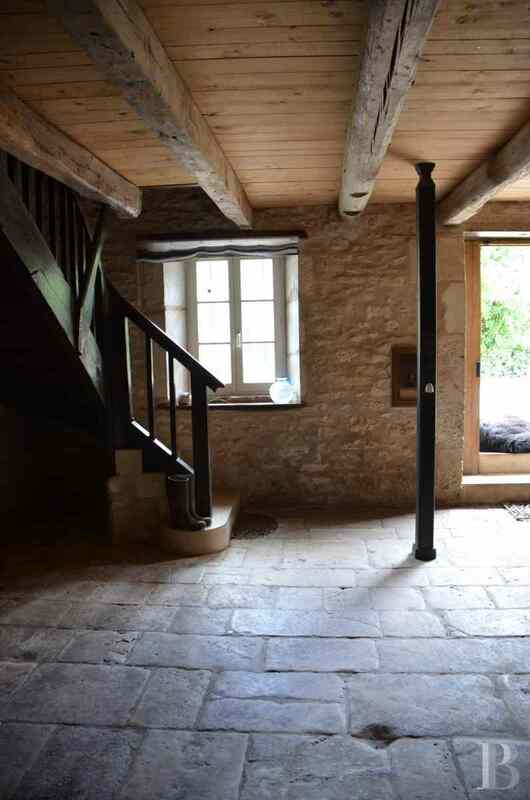 The lime-rendered walls and the stone flagstones of the lower level give it a plain but authentic appearance. Built on the other bank of the feed channel, opposite the mill, this old walnut oil mill currently remains in need of conversion as only masonry works have been carried out on the internal walls. The roof has not yet been restored. It could be used as an annex building, providing the residence with a view over the surrounding lush grasslands. 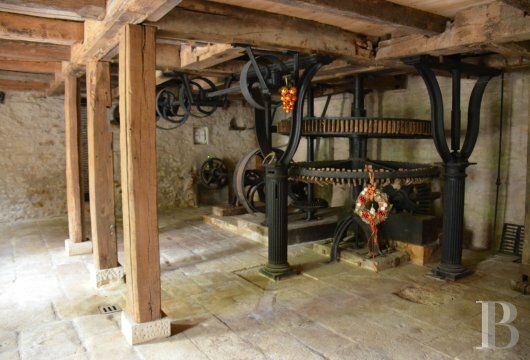 The distant origins of this mill provide an originality and a bearing that have been reinforced by its recent, extensive renovation works. 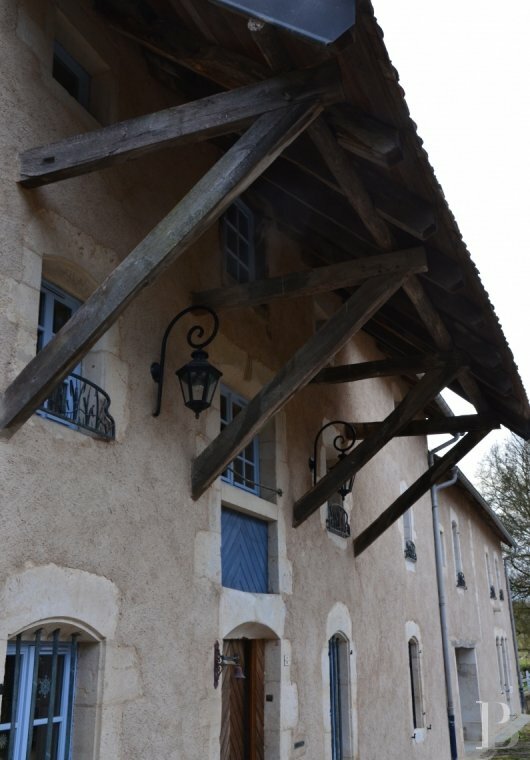 Tastefully transformed to make it comfortable, its current appearance is perfectly coherent with the strong character of this building, standing in a superb unspoilt setting below a listed chateau and its parklands. 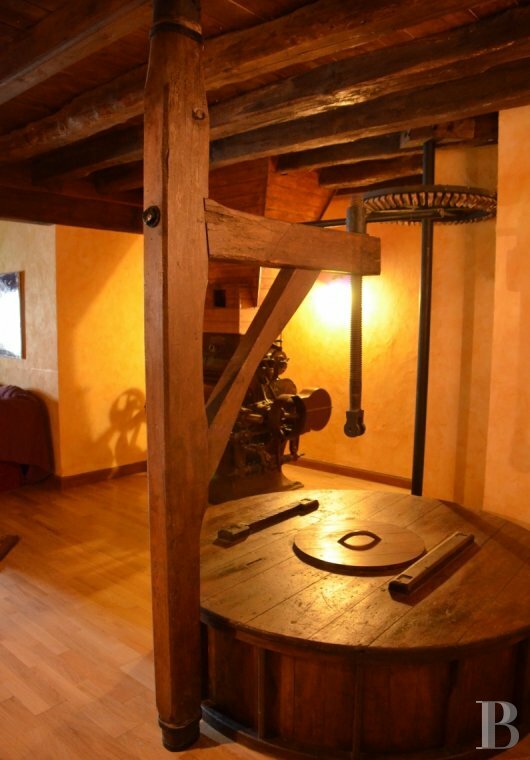 The mill’s old mechanisms and cogwheels with its hopper, millstone and toothed wheel have been beautifully enhanced. All the rooms still exude the character of a traditional Lorraine building and the extensions carried out in a contemporary style in no way clash with the oldest sections. This property, with its good road, motorway and rail (direct TGV to Paris) networks, is strategically located between Paris, Lyon, Germany, Luxemburg and the other Benelux countries.